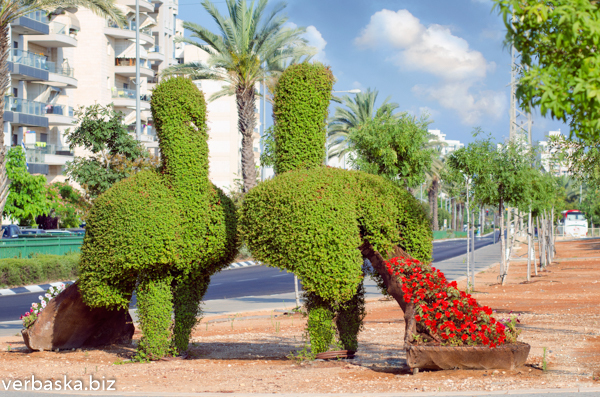 Two topiary peacocks standing on the pavement of Golda Meir St. The bushes are green and the peacocks' tails are the flowerbeds with red flowers. Birds facing each other and their tails directed opposite sides. There is an alley of young green trees behind the topiary birds' figures. The multistoried living quarters are seen on the opposite side of the road. Shot in Rishon LeZion, Israel.